The Lagos State Commissioner of Police, Mr Edgal Imohimi, yesterday, destroyed hard drugs worth more than N50 million at Ojota. Shortly before the exercise, Imohimi told journalists at the Ojota dump-site that the destruction of the hard drugs marked the beginning of the move by his command to rid the state of the activities of drug peddlers. 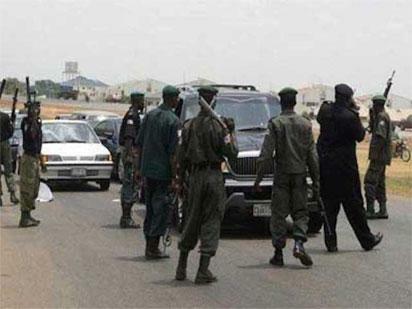 Speaking to newsmen during the exercise,Â the CP said: â€œOver 56 suspects have been arrested in connection with the seizure and have since been charged to court. â€œSome of them were arrested at Akala, in Mushin area of Lagos. It was as a result of the court order that the drug be burnt openly that we are here. We will not allow drugs to be sold on the streets of Lagos. â€œYou will recall during the town hall meetings I held recently that I promised to rid Lagos State of drug peddlers. â€œThis exercise is to clamp down on drug peddlers and also to assure members of the public that our youths will no longer have access to hard drugs. â€œAmongst the hard drugs to be destroyed is Codeine, which is supposed to be a cough syrup. â€œCodeine can be gotten easily at any pharmacy shop, which makes it worrisome. â€œWe hereby urge all pharmacists to sell the cough syrups only to those with doctorâ€™s prescription.â€� he said. The post Police destroy drugs worth over N50m in Lagos appeared first on Vanguard News.